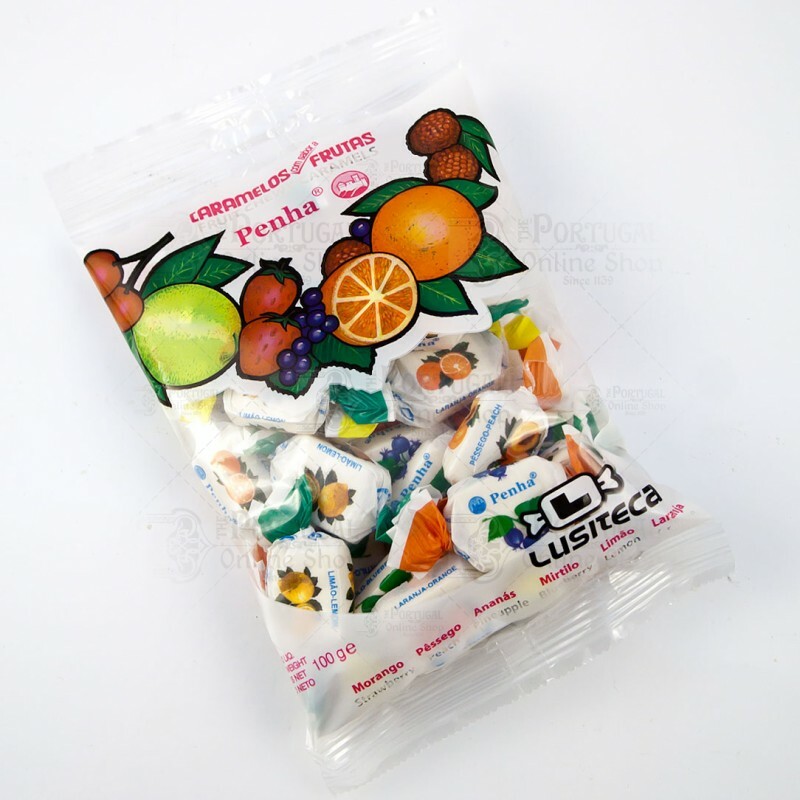 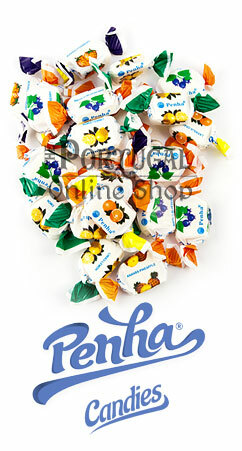 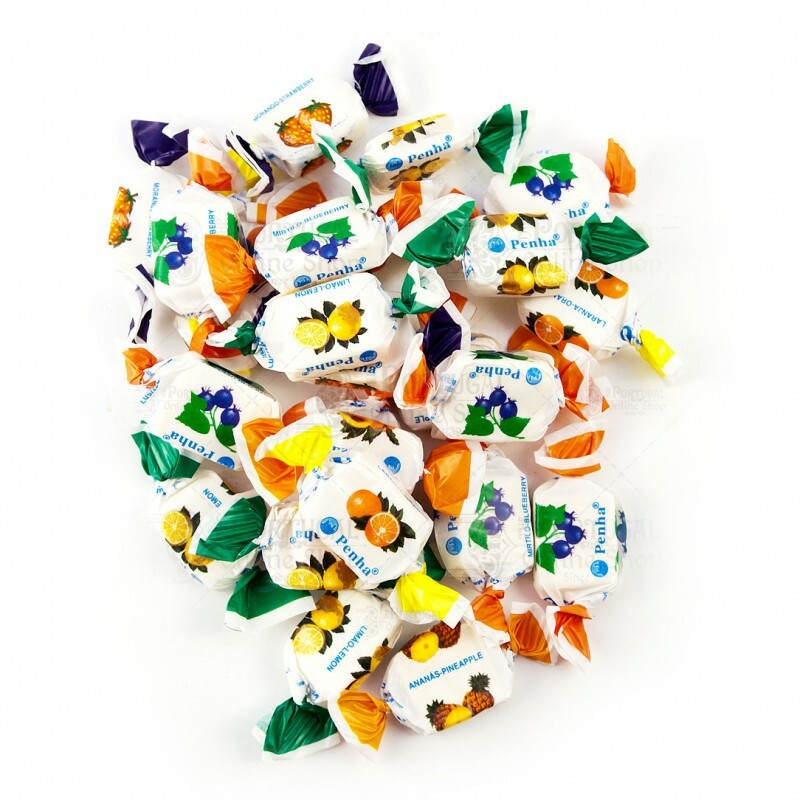 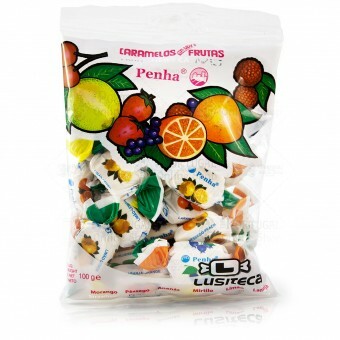 The real fruit toffees, with a delicate creamy flavour. Everyone raves about the unique and surprising sensation of enjoying a Penha product. 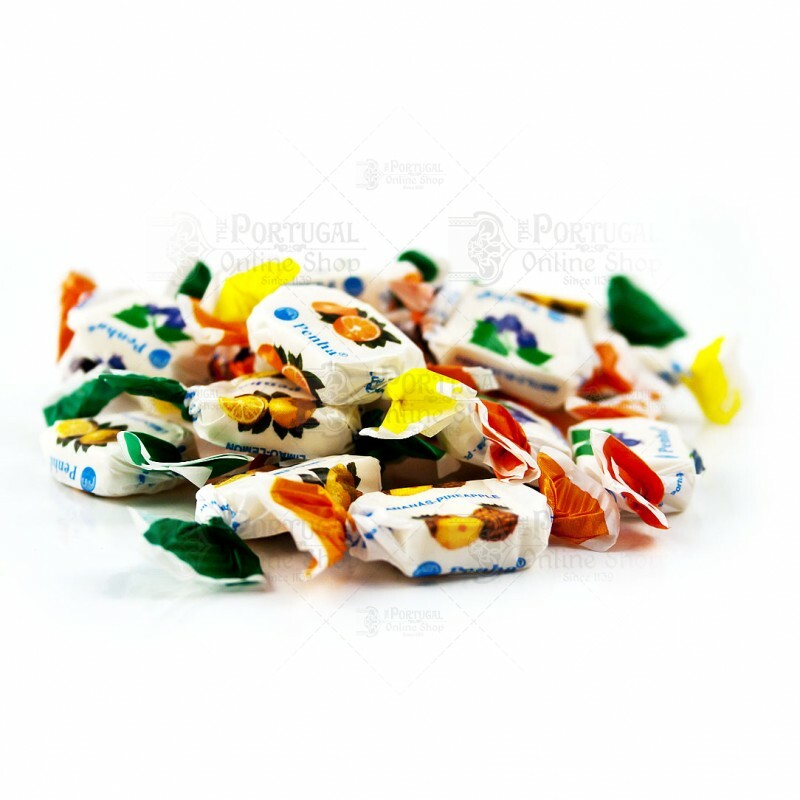 Sugar, Glucose Syrup, Vegetable Fat (Palm Oil), Gelatine, Acidity Regulator (Citric Acid), Flavourings, Thickener (Gum Arabic) Emulsifier (Soy Lecithin), Dextrin and Antioxidants (E and C Vitamins).